A ski trip is an amazing way to spend winter holidays in Europe. After Christmas markets close for business and the cities become cold and slushy from all the rain and snow, the best escape is heading straight to the mountains to get cozy at some of the best ski resorts in Europe, get warm by being active on the ski slopes and drinking warm cocoa afterwards. Ski season in Europe can be successfully spent in nearly every country since mountains are spread across the entire continent. When is the ski season in Europe? The ski season in Europe opens as early as October in some places like the Alps and lasts all the way through April. However, the best time for skiing in Europe is between mid-December to March, when most ski resorts are sure to have snow available. When it comes to prices, the peak season is definitely around Christmas holidays and the prices can easily double during this time. After that, the further you are into spring (starting in March), the cheaper it becomes to ski. Where to go skiing in Europe? In order to cover a full spectrum of skiing possibilities for your winter holidays in Europe, I asked my fellow bloggers to give their recommendations for best places to spend a ski season in Europe. The list goes in alphabetical order without any preference :). My best skiing holiday took place in Andorra. The ski resort Grandvalira has 210 km slopes and 67 ski lifts, which is very impressive. They have slopes for all levels. We enjoyed 5 days skiing and the slopes were not busy at all! Andorra is a tiny country and it doesn’t have an airport. We flew to Barcelona and combined the holiday with a city break. There are several transfer buses every day going from El Prat to Andorra. The journey takes about 3,5 hours. Meals on the slopes are quite expensive – 12-15 USD, but you could take advantage of their lunch voucher scheme and purchase your ski pass with it, making your trip cheaper. It is known that Austria offers some of the best skiing in Europe. Walking into Innsbruck from the train station is like walking into a winter wonderland. When we arrived in October, the surrounding mountains looking down into the city centre had started to gather snow giving the entire town a crisp, blue hue. It was stunning for a Florida gal like myself to see. There aren’t many places in the world that would have good ski conditions in October but the Austrian Alps are one of them. By the time we got to Innsbruck Stubai Glacier the slopes had just opened for the season. Although only a handful of trails were open on Stubai Glacier that weekend, just 35 minutes outside of Innsbruck, it was some bomb skiing fit for all levels. As for the daily budget (including ski passes, equipment, accommodations and food) it would end up about $190. The cost of the skiing and equipment only would be about $80. Most people know Bulgaria only as a summer destination with the beaches and the trekking in the mountains, but where there are mountains, there is skiing in the winter. There are 4 major ski resorts in the country: Pamporovo, Borovets, Bansko and Chepalare and many small places scattered all over the mountains offering some cheap ski vacations. There are perfect ski conditions from December to April. The slopes are suitable for the beginning to the intermediate skier. There are very good ski and snowboard schools. The total length of the ski runs in Bulgaria is about 200 km, which is pretty small scale compared to Austria or France, for example. Prices for a 3-star hotel are about 60 USD for a double room, half board, and ski-equipment, together with a ski pass for 7 days costs just under 300 USD. As a ski destination, Bulgaria is perfect for the beginners and for the budget skiers in a search of something different. Out of the 12 resorts that make up the Portes du Soleil ski area, Morzine Ski Resort is the largest and probably the most convenient in regards to resort hopping. It is one of the reasons why I keep going back during the ski season. Morzine France is an ideal place, where the atmosphere is relaxed, the skiing is great, and there are plenty of things to do and lots of places to eat. It is also super easy to get around and it is good for both families and groups. Also, it located only an hour and a half from Geneva airport, so it is great for a weekend getaway. Depending if you obtain full board or half board, your daily budget will be between $50 and $100 including meals. Gudauri is located very close to the capital, Tbilisi, with approximately two-hour drive away. ​Being above the tree line, it’s a perfect place for free-riders. Situated at the elevation of 2,200 meters above the sea level, the resort faces the Caucasus mountain range creating breathtaking views which you can see while skiing. Gudauri has different ski runs for any skier. Those routes are 57 km long and are located at different elevations. When it comes to entertainment, there are various bars and cafes along those runs for you to have a break, enjoy the sun and watch beautiful view of the mountains while sipping your favorite beverage. Daily Budget: 130$ including a one-night stay in the apartment, a day pass to ski and food. Geilo is located halfway between Oslo and Bergen among the majestic Hallingskarvet mountain range, in the valley of Hallingdal. It’s Norway’s oldest Alpine resort, and one that prefers a quiet evening of fireside schnapps and hot waffles to a rowdy apres party. It’s also home to Europe’s largest plateau, which makes for a great cross-country skiing possibility for those afraid of heights. 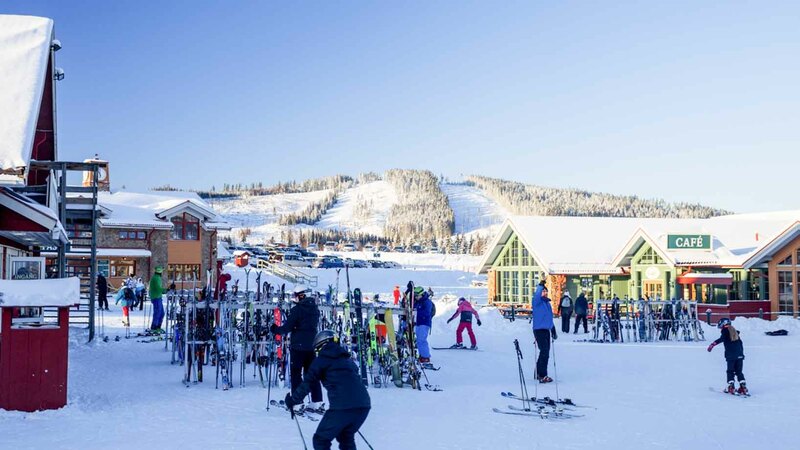 What makes Geilo most unique though, is its particularly northern latitude – the ski season opens in October and ends as late as April. I love visiting it most during the springtime when you’ll be able to avoid the masses of people while skiing well into the evening with Norway’s seemingly unending daylight. Your daily budget will range from $150 to $500 depending on your level of luxury. Poiana Brasov is located in the Carpathian Mountains, less than 200 km away from the capital city, Bucharest. It is a great budget skiing resort without any compromises on the quality. Approximate daily budget is $100, proving that it is possible to have cheap ski vacations in Europe. In fact, because of the attractive prices, many come to spend the ski season in Europe in the Romanian mountains. Poiana Brasov is a fantastic winter option for soft adventure lovers who are interested in 7 slopes with a total length of 24 kilometers. Accommodation prices are reasonable, starting from as little as $20 per night. There are plenty of eateries dotted all around Poiana Brasov, so you are guaranteed to sample a variety of traditional Romanian food. The gorgeous Tatry mountains stand tall in Slovakia. During the summertime, I often visit Tatry to go on some breathtaking hikes. Some years ago I was curious to see how these mountains looked like during the winter as well. Several skiing resorts have been established there: Jasná Nízke Tatry, Starý Smokovec, Štrbské Pleso, Tatranská Lomnica, Vysoké Tatry. I was lucky to experience the New Year celebrations in Jasná. It is a dreamy village in the Low Tatry mountains. I chose Jasná ski resort because Slovakia was a budget-friendly destination, beautiful and completely different from the usual festive season at home. If you choose to ski or snowboard in Tatry mountains, I suggest getting the Gopass card. It will allow you to use cable cars in any of the Tatry resorts and provide discounts in Besenova aquapark and some accommodations. Three days of snowboarding was more than enough to explore the Low Tatry part, where Jasná is located. However, for more experienced fans of winter sports, I’d suggest spending a week in Slovakia and trying out a new resort each day. There are good transportation options which connect local villages to any of the most popular resorts. Romme Alpin ski resort is located in Borlänge, in the very heart of Sweden, 230 Km north of Stockholm. It is my skiing destination of choice as I moved to a town nearby 4 years ago and this resort provides skiing opportunities literally on my doorstep! You don’t need to live here to appreciate it, though. Romme Alpin is one of the largest resorts in Sweden and it is the one lying closest to Stockholm. In fact, many people visit Romme Alpin on a day trip from the capital. One of our favorite ski resorts in Europe is Engelberg in Switzerland. It’s easily accessible, the runs are steep but wide enough to be fun and the big part of the slopes are so high that there is no need to worry about snow conditions. But there is so much to do in the area than just skiing. We love the winter fun park at Trübsee where you can go sledding, tubbing, have a drink in an ice bar, or even spend a night in an igloo. You can also take a gondola all the way up to Mt. Titlis and walk over Europe’s highest suspension bridge or visit an ice grotto. Daily budget depends a lot on the number of people and the number of days. For example, a day ski pass costs around 65USD while a 7-day pass is 330 USD (47 USD/day). Engelberg has plenty of accommodation options for any budget range as well, some hotels offer packages that include half board and even ski passes. The Carpathian mountains on the Western part of Ukraine and the suitable weather conditions in winter make it for a great ski destination. Ukraine might not be the first thing that comes to mind when you think about skiing, but maybe it should be since Bukovel Ukraine is the largest ski resort in Eastern Europe. The resort is situated in Ivano-Frankivsk oblast and is growing exceptionally fast due to its popularity within locals. Though skiing can keep you plenty busy with 63 ski runs of different difficulty levels, there are many other things to do in Bukovel. For one, you can visit the open pool in Vodaclub, go zip lining, mountain trekking and what not. Planning on visiting Ukraine? 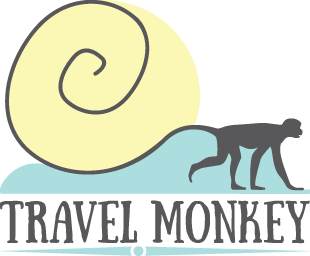 I’ve gathered best first-hand travel advice in my travel guide “Insane Ukraine” with local tips and tricks. Click here to learn more. In order to avoid massive lift lines, I would advise you to avoid the holiday season, from 24th December to 14th of January. The overwhelming amount of ski holiday resorts in nearly every country is the guarantee that you can find a great solution for winter holidays in Europe for any taste, from resorts known for best skiing in Europe, to cheap ski vacations that might be less popular but will fit within your budget. So, which place caught your attention? What is your favorite ski holiday destination? Share your thoughts in the comment section below!